Love this top! It looks great on you. Beautiful top and you're looking absolutely lovely, Laura! I say that if you are going to give up on foundation, you need reliable concealer and MUFE Full Cover certainly is one! Kudos to you for doing that! I love peplums, they feel so ladylike, and this looks fantastic on you! I love the look of this top but I've tried it on and it doesn't fit me. :( It gapes at the arm holes on me, as does the more "basic" one that Topshop sells in different colours. I haven't tried any peplum tops yet, I think mostly because the stores in my area have sold out of then so fast! This gives you a great shape for a night out! One of my close friends bought this same top. Both you and her make me want this top so badly, but im so tiny and small, im not sure it would looks so great as it does on you. On another note, your hair still looking amazing! Love how peplum tops are so versatile, definitely sold on them! you're so kitty in this shirt! I love this top, it's beautiful! It said on the website that it's 94% Polyester,6% Elastane, so there's no cotton in that. I like the cut, but i hate wearing synthetic fabrics. oooh topshop did good with this one! Laura, I love the peplum top! 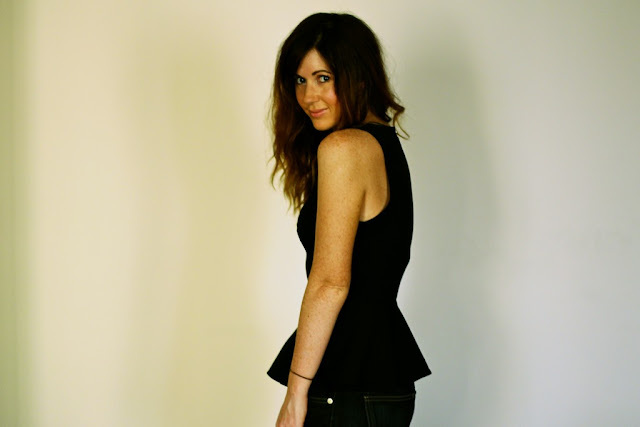 You don't see peplum tops worn with pants that often, but I totally LOVE how you did it! this looks really lovely, will have to try one on next time i see one in store! 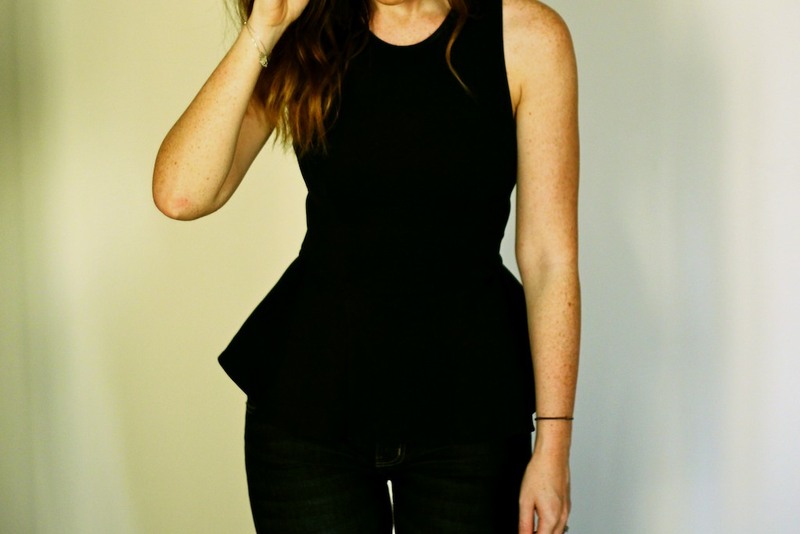 I just bought a peplum top (my first one!) from the Zara sale, I cannot wait to wear it! It looks so beautiful and flattering on you! :) maybe I'll have to pick this one up too if I like how mine looks on me! I still think it looks really flattering and expensive but I know what you mean about exposed zips. Dare I say it - they're a bit tacky?! I'm yet to try on a peplum top... does it suit pear shapes? I absolutely love this top! I bought it about a week ago and it's lovely. Lovely top and I quite like exposed zips aha:)! Very chic Laura. I may just have to make this my first Topshop purchase. 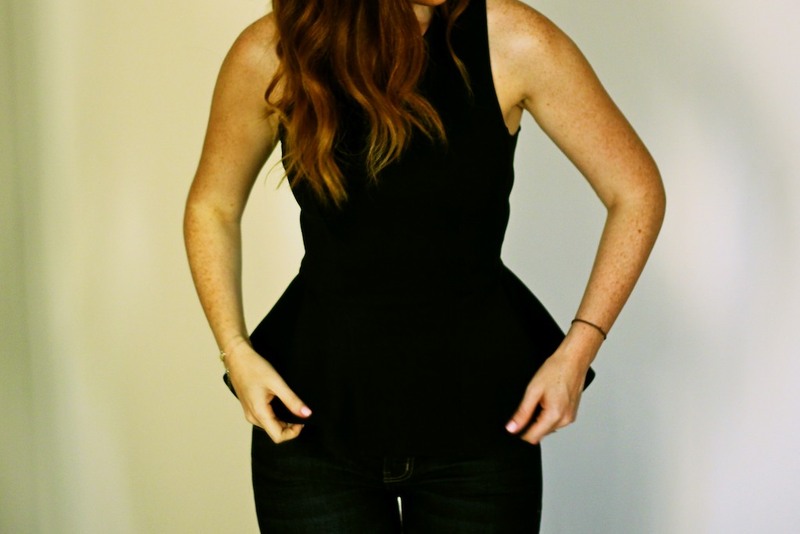 I am so into peplum top atm, I find them very flattering :) Your is just super cute . You look amazing!!! I love that shirt. I've been eyeing the Topshop peplum dress which is like the dress version of your top... totally want it. I simply adore peplum! Best peplum top I have seen by far. Great choice! I'm loving peplum as well! Love, love and love it again! I have this in the black & cream & can't stop wearing them! I just bought 2 of these from Topshop-arrived on Monday!!! I got the black and the coral...it's LOVE!!! Love this top on you...the style is just perfect! Still not tried a peplum top or dress. But this really suites you. you have got a lot of that info here on your site. I am impressed I try to keep a couple blogs fairly up-to-date. You have done a fantastic job with this one. This is very nice and great web post, i like the way of your writing. I is great piece of data. Great stuff and share. To make sure that there is no factor of phony strikes. Binance.com Exchange Login so those interested can learn about exactly.